We manufacturer best quality pure silk reversible shawls, stoles, scarves in plain weaves, twill weave in 95 gram quality and twill weave 105 gram quality and 150 gram quality in yarn dyed colors. We produces Many woven designs in like multi borders,box designs,stripes in 70x200 cms, 55x180 cms and 35x160 cms size. We offer your 100% pure silk plain weave reversible shawls/stoles/scarves Always available in stock in assorted colors size 70x200 cms. we can offer you solid colors in this quality as per choice of cleint. Moq 10 pc per color. We offer you pure silk heavy quality reversible multi colors border designs shawls/stoles/scarves.Always available in stock in assorted colors size 70x200 cms. 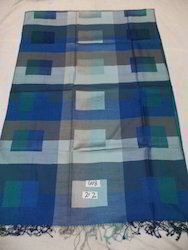 We offer your 100% pure silk plain weave Reversible border stoles in 70x200 cms always available in stock assorted color. 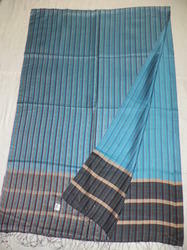 We offer you 100% fine quality silk reversible stripes stoles size 70x200 cms available in assorted colors and designs. 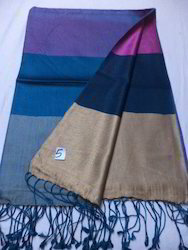 We produce 3 color twill weave reversible shawls/stoles/scarves in 70x200 cms. Available in assorted colors. 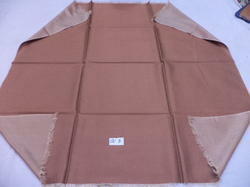 We offer you 100% pure silk twill woven box design shawls, stoles, scaves size 70x200 cms. Available in assorted designs and colors. 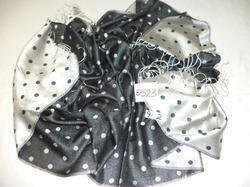 We offer you silk satin reversible woven polka dot stoles in size 60x185 cms. Always available in stock in assorted colors. 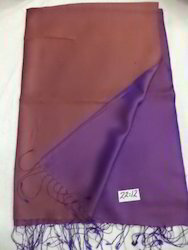 We offer you pure silk reversible satin weave scarves size 50x180 cms in assorted colors. Always available in stock in more the 100 colors. 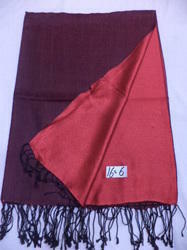 We offer you 100% pure silk reversible gents muffers,scarves in 35x165 size.Always available in assorted colors. We offer you 100% pure silk twill weave heavy quality reversible scarves size 55x180cms.Always available in stock in assorted colors. We offer you 100% pure silk twill weave fine quality reversible square scarves size 90x90 cms.Available in stock in assorted colors. We offer you 100% pure silk Kantha work reversible vintage shawls,stoles,scarves.Always available in assorted colors and designs in 90x200 cms size. 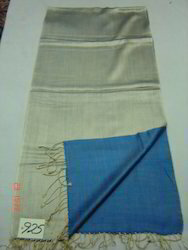 We offer you 100% silk fine 90 grams quality ombre shaded colors in size 70x200 cms available in assorted colors. 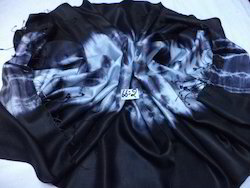 We offer you 100% pure Silk in Artistic tie dye shawls in 100 gram quality.Huge collection of colours and designs are available in stock. Standard size:- 70x200 cms plus hand made twisted tassels. 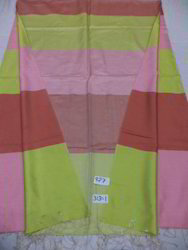 We offer you 100% pure silk Multi color modern check design reversible shawls size 70x200 cms.Available in assorted colors. We are engaged in offering 100% pure silk shawls, kashmir silk reversible shawls, contrast color shawls, fine quality reversible shawls, azo free shawls size 70x200 cms. Available in assorted colors and contrast colors. 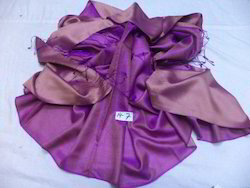 We manufacture pure silk twill weave Reversible shawls/stoles/scarves in 105 gram quality in Kashmir in assorted colors and designs.we maintain stock of 4000 to 5000 pcs in assorted color for immediate delivery. 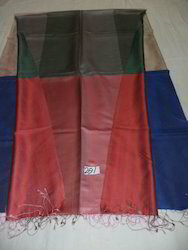 We offer you 100% pure silk twill weave multi color reversible border shawls/stoles/scarves in 70x200 cms. Always available in stock in assorted colors and deigns. 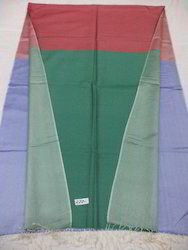 Pure Dupoin Khadi Silk Sarees.